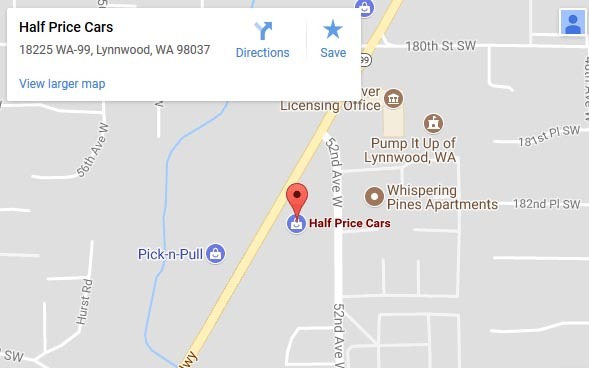 ﻿ 1997 Ford Expedition for sale at the Half Price Cars auto dealership in Lynnwood, serving the greater Seattle, Everett WA area. Take a look at this quality 1997 Ford Expedition!! This vehicle has a Green exterior with a interior, and it looks AMAZING! With the great price and our guaranteed approval auto financing, you can’t go wrong with this vehicle. Contact us at (425)419-0150 now to schedule a test drive. Our hours are Monday through Saturday 9:30am-8:00pm and Sunday 10:00am-6:00pm. Thank you for your interest and we look forward to hearing from you.